We are welcoming back one of our personal favorites, Ø [Phase] for the third time; this time we are back at F8 on March 8th alongside the MNMLFUN crew. He started working with Token in 2007, and his music progressively earned more and more worldwide recognition – significantly on 2012′s much acclaimed “Binary Opposition” EP and subsequently on his 2013 debut LP “Frames of Reference“. His tracks have become constants in the DJ sets and Podcasts of Marcel Dettmann, James Ruskin, Robert Hood, Ben Klock, Rødhåd, Dave Clarke and many more. So did his remixes for Luke Slater, Robert Hood, Jeroen Search, Scuba, Daniel Avery and Woo York to name a few. After releasing his 2nd album “Alone In Time?“ in 2015 he consolidated his position as one of the most important representatives and developers of the current London Techno sound. 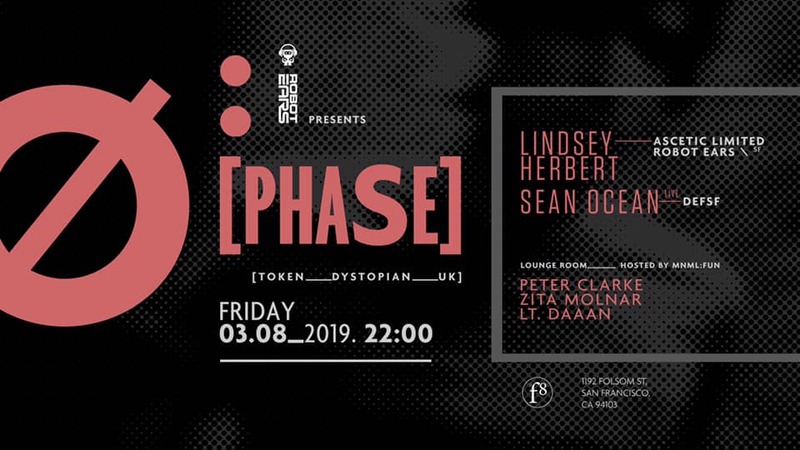 Regular appearances at renowned venues like Berghain in Berlin, Concrete (Paris), Fuse Club (Brussels), D-Edge (São Paulo), Lux (Lisbon), Melkweg (Amsterdam), Fabric (London), Contact (Tokyo) and The Block (Tel Aviv) confirmed Ø [Phase] as a relevant voice within the genre. Today his schedule is busier than ever. Over the last years he played an average of 70 gigs per year. He’s performing all over the world in mid-size to big clubs and at festivals with up to 10.000 visitors. His tour schedule has taken him to places in Europe, Asia, Australia, South America and Canada.